In compliance with the new personal data privacy laws brought in by the General Data Protection Regulation (GDPR), SupaDupa now supports the Right to erasure (‘right to be forgotten’) directive. 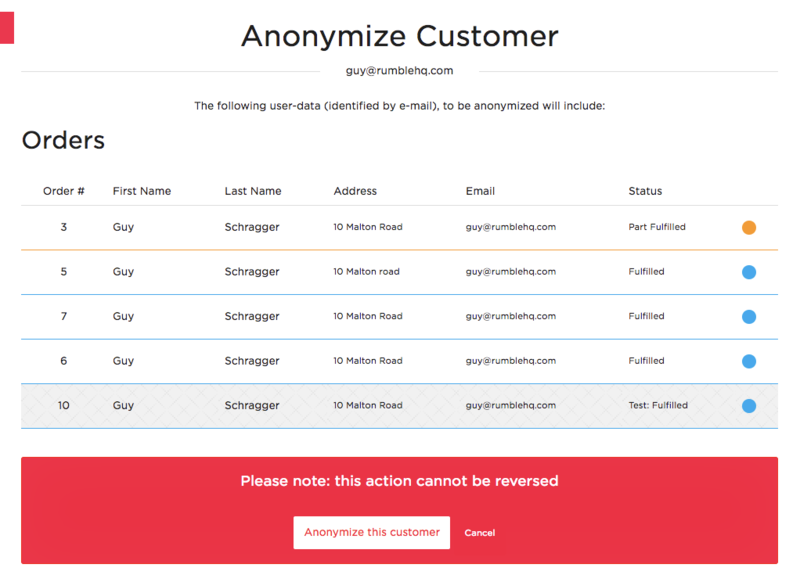 You can now honour any such requests you receive from you Customers by anonymising all their personal data in a few easy steps. 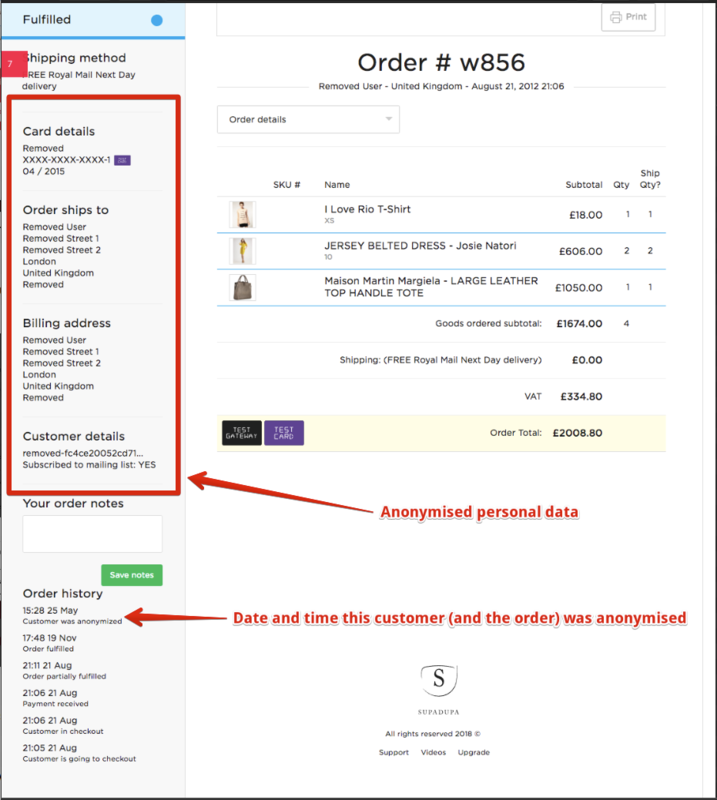 SupaDupa does not directly support customer accounts, thus a 'Customer' in this context is based on a unique email address that may be tied to one or more orders you have received from the requester. 1: Login into your SupaDupa account then head over to your orders page. 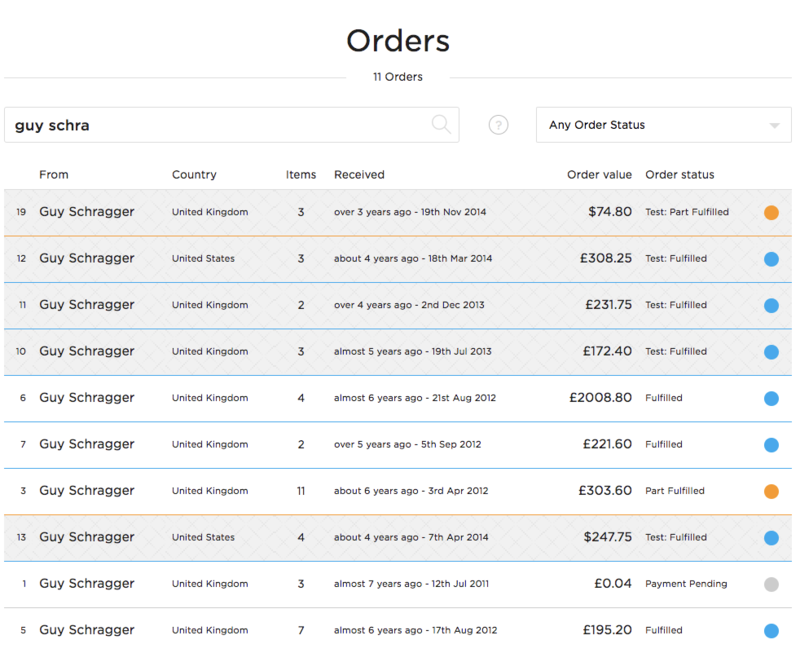 Tip: You can do an order search using the email address to quickly see all orders that have been placed by a specific Customer. 3: Click on one of the orders in the list to view the order details. You will see a full list of all the orders the Customer has placed with you. 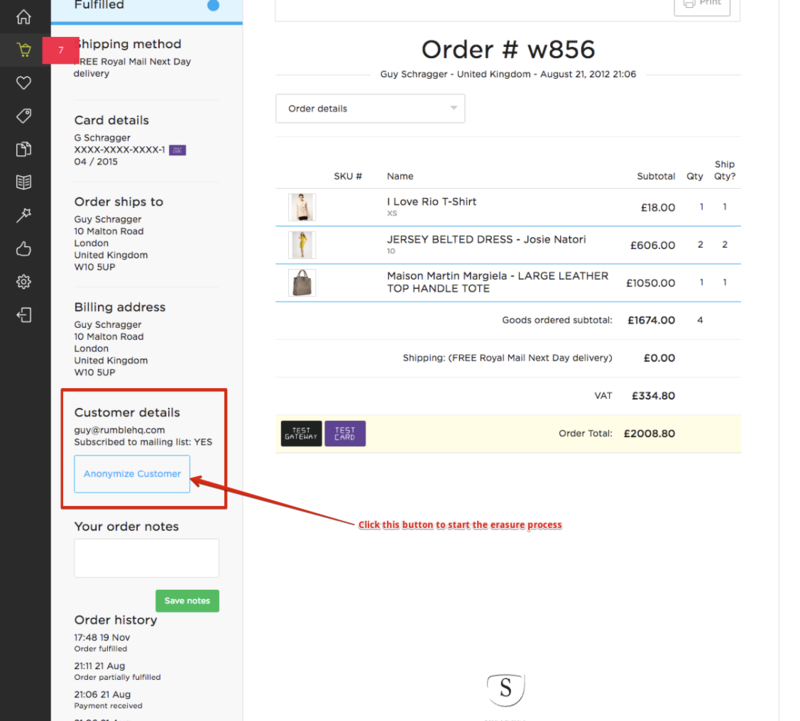 Click on the [Cancel] button to return to the order details page. 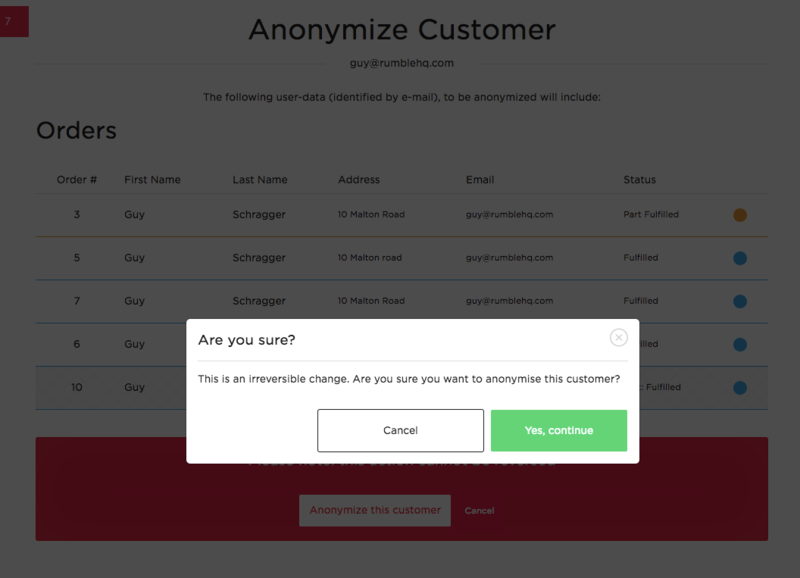 Click on [Yes, continue] to Anonymise the customer.